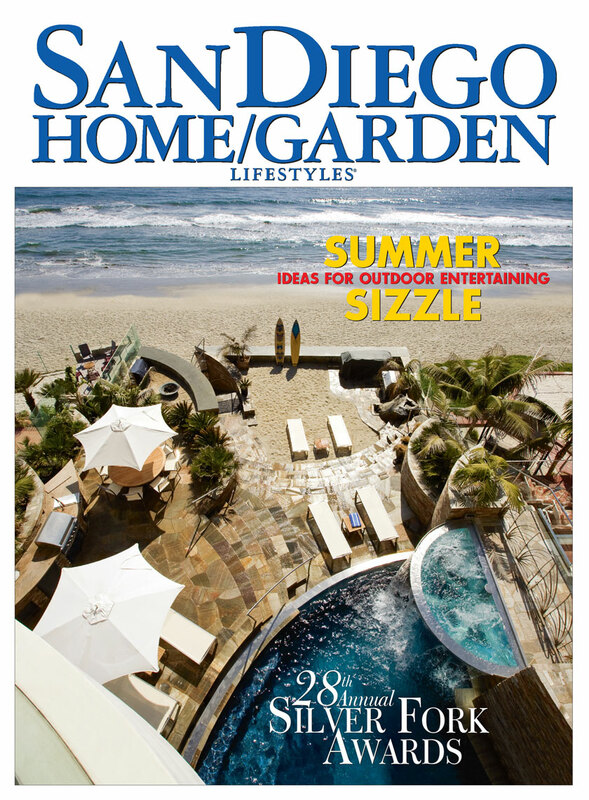 Architectural view shot of beach house over the Pacific Ocean for San Diego Home & Garden Lifestyles Magazine Cover. Designed by architect Wolf Kalber of Wolf Design Build, Inc. Photograph by David Hartig.